At Marine Capital, we believe that the best returns in shipping come through direct ownership and operation of assets. Our team of experienced professionals combines many years of technical, operational, commercial, financial and investment management knowledge with the skills needed to execute successful investments without the need for operating partners. Sector agnosticism: don’t be limited by sectoral bias. Evaluate objectively and diversify where appropriate. Analysis: homework will pay off. We do our own research and aim for the highest possible standard. In-house management: Keep direct technical and operational control where possible. 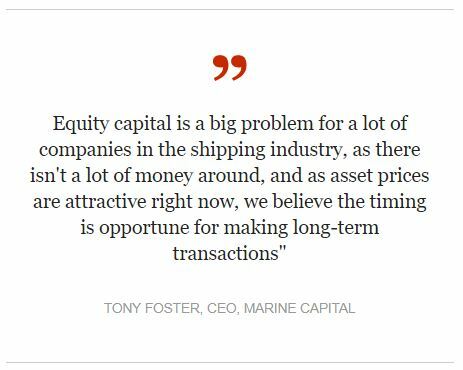 This not only protects asset value and decision-making flexibility, but allows Marine Capital to act as a shipowner-participant in the marine markets. Access to deal-flow and ability to execute (operationally) increase opportunities for investors. Our approach of combining investment management with physical ship management is central to our business proposition. It allows us to exercise full technical control over assets – ensuring cradle to grave attention to asset quality, earning capacity and value maintenance.